Marbozir (my favorite YouTube “Let’s Player”) just wrapped a full 50 episode “let’s play” (a gameplay walkthrough video captured while playing, if you are not familiar with the term) of the new Might & Magic X Legacy. Let’s Play videos are great for me personally because I don’t always have time to play the games I want to but I can leave a let’s play video playing on my desktop while I work and still get some of that gamer “hit” I would get from playing the game itself. They are also great for learning how to play a game. Marbozir has taught me a lot about how to play Civilization V. One of things I like about Marbozir’s style is he provides running commentary that includes his reasoning on taking the actions he is taking. 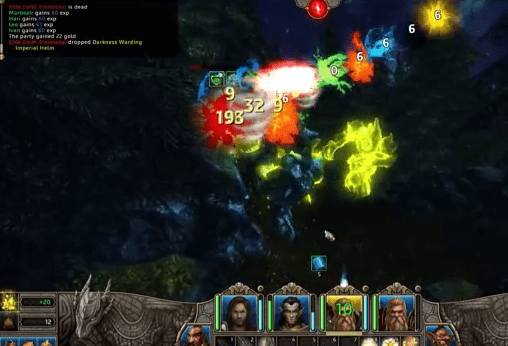 Might & Magic X Legacy itself looks like a really fun game. Not groundbreaking, and not every game has to be to be fun, but instead a good, solid fantasy RPG romp that is a combination of previous Might & Magic games and Legend of Grimrock’s style of play. That being said, M&M X Legacy has a wide variety of above ground and underground locales, while Grimrock is basically a dark dungeon crawl. I have to say I also really like the effect of the different damage type numbers (images of a variety of colors and styles) that splash off on a successful hit. Sometimes you get a skittles of damage information flying off of a creature you knock upside the head. Lovely. Damage as art. Well played, M&M X Legacy. Hopefully I’ll find the time one day to play this myself. You can find Marbozir on YouTube. You can find Might & Magic X Legacy on Steam at a reasonable $24.99. And don’t forget to subscribe to the Shane Plays YouTube Channel! This entry was posted in CRPG, Let's Play, Uncategorized, Video on February 20, 2014 by Shane.